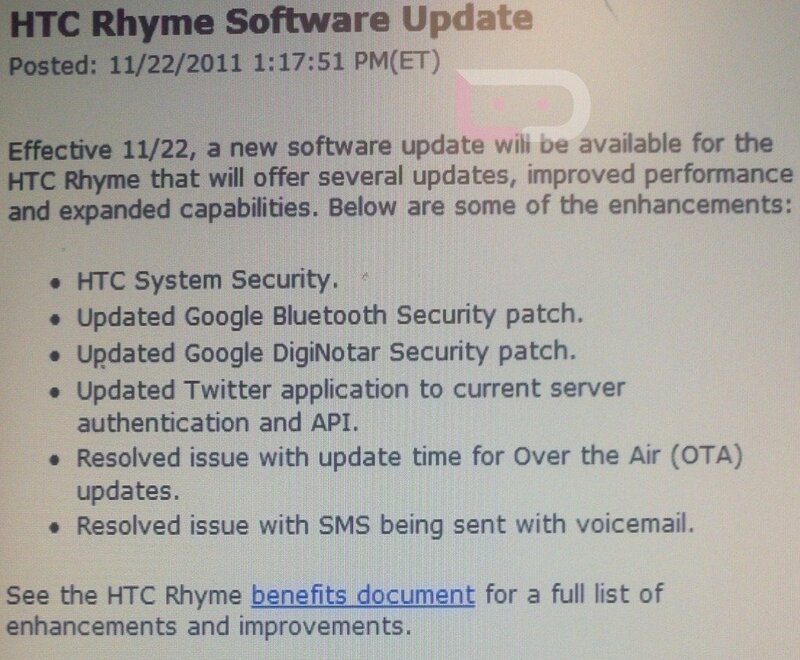 If you purchased the HTC Rhyme, feel free to jump into Settings>System updates to see if a surprise is waiting for you. 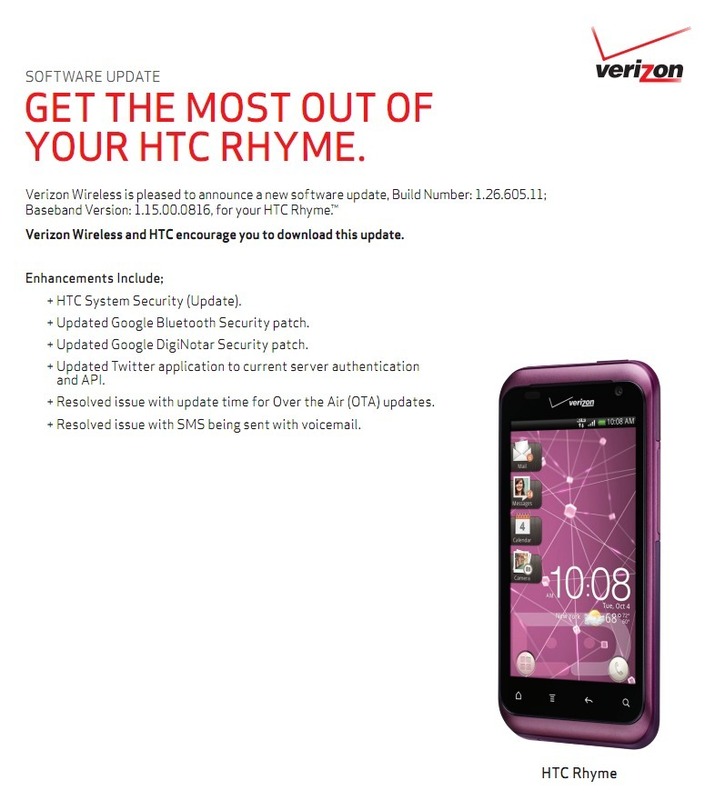 According to our friends at Verizon, an update was made available last night to address a number of security issues. With HTC taking some heat over the last month over privacy concerns, this is a good thing. The update is only 8.89MB and will bring your phone to build 1.26.605.11. Pretty version of the changelog after the break.